IES makes homes and buildings safer by cleaning dryer ducts, air ducts or HVAC units, kitchen hoods, and trash chutes & compactors. Reducing the risk of a dryer fire or chute fire, as well as increasing indoor air quality (IAQ) is our number one goal for our clients. Hillcrest Fuel offers a full line of warranted products and services for both new construction and system replacement. Coupled with our economical service and fuel delivery plans you will be assured a safe and comfortable home. Get quality heating and cooling installation, maintenance, and repair services from A & S Nathan Heating & Cooling LLC. 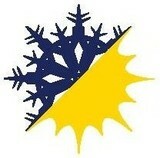 Serving all types of heating and central air conditioning systems for your home or business. CBS Contractors is family-owned and operated right here in Ansonia, CT. Since our company opened its doors over twenty years ago, we’ve treated every customer like they were a part of our family. Other companies may offer similar services, but our services are the best, and come with a personal touch. If you’re looking for high quality and personal service, you’ve come to the right place. 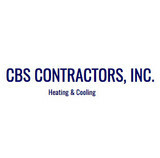 At CBS Contractors we’ll give you the attention and personal service you deserve. Business Address: 5414 W Crenshaw St, Tampa, Florida, 33634 If you're looking for a trusted plumber or HVAC contractor in the Tampa Bay area, look no further than Your Home Services. Offering plumbing, cooling and heating services, your satisfaction is their guarantee. Call today to schedule your next appointment! Connecticut Air Systems, located in Milford, CT is your complete source for heating, air conditioning, sheet metal, air purification and humidification systems in both residential and commercial applications. Our dedicated staff of licensed, thoroughly trained technicians install and service quality systems from Bryant, Thermopride and other major manufacturers. Every system we install is fully warranteed. Connecticut Air Systems is totally committed to a high standard of professional service and customer satisfaction. It is this commitment that has made Connecticut Air Systems one of the leading suppliers of heating, air conditioning and air treatment systems in the area. Connecticut Air Systems, Inc was founded in 1979. Connecticut Air Systems is a well-known leader of quality systems. A dedicated office staff, service technicians and installation mechanics keeps a very large and happy customer base growing year after year. Modern Heating & Air Conditioning was founded by Matthew Sando. Having over 20 years experience in the industry. Our reputation as a skilled, dependable and honest contractor attracted the attention of major HVAC equipment manufacturers. Today, Modern Heating & Air Conditioning represents many leading manufacturers and services the needs of residential and commercial HVAC customers throughout Fairfield & New Haven County. Over the years, Modern Heating & Air Conditioning has earned an outstanding reputation for it’s quality service and value. Our technicians are certified in heating and air conditioning repair and installation, sheet metal fabrication and air-quality systems from leading manufacturers and North American Technician Excellence (NATE). Whether you need a new water heater or residential and commercial repair services, you'll receive quick services from us at competitive prices. Contact our licensed, bonded, and insured team today to schedule your service. Duct Diagnostics, LLC was formed in 1998. We have grown to have thirteen full time employees and an owner who is active in the company’s day to day operations. We specialize in commercial and residential Aeroseal air duct sealing and duct cleaning and have successfully completed jobs with prices ranging from a $500 home to a $120,000 school. Fueled by a genuine desire to find the best solutions to keep homes and businesses comfortable, Tri-City is Milford’s one-stop shop for all things heating, air conditioning, and plumbing. The family owned and operated company brings over 55 years of experience handling an array of home system problems. Whether you’re in need of simple system checkup, complex repairs, or complete replacements of HVAC equipment or plumbing fixtures, the company’s professionally trained team can handle them all. Expect fast response times and on-time service every time from the NATE certified techs. Additionally, emergency services are available 24 hours a day. If something goes wrong, regardless if it’s your furnace, AC, or toilet, you won’t ever need to think about who to call. Schedule an appointment today. The Milford heating, air conditioning, and plumbing experts are standing by. Hofmiller Energy has been in business for 7 years and more to come. With over 25+ years of experience in the field. Bob got tired of running other peoples businesses, and finally started up his own. Hofmiller Energy is open 24/7 and when you call you get a live representative, no recording, someone is always on call so you usually get the desired visit from us within the hour. We are a certified company. Bob's employee’s are the most advanced technicians and have the most state of the art equipment and inventory to get the job done fast. We are family owned and operated with over 40 years of experience and many generations of customer satisfaction. We are entering the 4th generation in the heating & cooling industry and are experienced in oil & gas installations, service, heating oil delivery and diesel. By keeping up to date with modern equipment, Chickos Energy Services is able to provide our customers with the latest technology and equipment in this fast changing industry for Gas and Oil. We install heating & air conditioning, hot water & warm air systems, as well as custom sheet metal fabrication & installation. We use some of the best products in the industry while maintaining competitive pricing, quality installations, and service. Bruce E. Stevenson Plumbing & Heating, LLC. In 1985, Bruce E. Stevenson began working with his father, Edward R. Stevenson, in the plumbing and heating company founded by his grandfather, Edward W. Stevenson. Working side-by-side with his father and grandfather, Bruce learned the business from the ground up. Now with his own family-run company, B.E. Stevenson Plumbing & Heating, LLC, Bruce practices the quality craftsmanship and work ethic instilled in him by his father and grandfather. In the tradition of the Stevenson family, B.E. Stevenson Plumbing & Heating, LLC stands for honesty, quality craftsmanship and superior service. We are a family-run company that believes in treating our customers with honesty and respect while also offering superior service and craftsmanship. We take the utmost pride in our services and we stand behind our work. We never "cut corners" but rather take extra steps to ensure that our work upholds to our high quality standards and exceeds trade and code specifications. Our reputation has been built on years of dependable, quality craftsmanship and superior service. Whether your needs are residential or commercial, large or small, custom jobs or routine maintenance, B.E. Stevenson Plumbing & Heating, LLC will professionally complete your project. B.E. Stevenson Plumbing & Heating, LLC is the company to call for anything from routine maintenance and repairs to custom remodeling projects/additions to heating service and installations. Specializing in hydronic heating (including radiant), we have the knowledge, experience and training to custom-design efficient heating systems that will reduce fuel bills and provide years of comfort for your home and family. 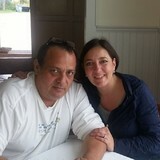 We are a fully licensed and insured plumbing and heating business serving the Fairfield and New Haven areas. Our mechanics undergo rigorous training and education to ensure the most up-to-date, efficient and effective solutions to your plumbing and heating needs. We are active members of the PHCC (Plumbing, Heating and Cooling Contractors Association). We look forward to serving your plumbing and heating needs.